I haven’t written on-line in over two months! I can hardly believe it. It’s not for a lack of having something to say – a peruse through my journal will testify to that! – but from a lack of desire to articulate my feelings and doings in a public-form-esque manner. My journal is sloppy, and filled with drawings and lists and rantings and poor grammar and run-on sentences…sort of like my blog, sure, but on steroids. Sometimes I don’t feel very poised in my life, and oftentimes I take writing too seriously. Our life has been messy, and soggy (#coastalvanlife) and busy. The pressures of “keeping up an image,” or “not wanting to bore people” can be enough for me to stick with my private pen and paper over my public keyboard and inter-web platform. I know, it’s silly…but sometimes writing takes a lot of guts – it’s a vulnerability that can be too heavy sometimes. It’s not as if I have a million followers who are waiting my every entry or just dying to know what I’ve been doing these past two months, so I CAN take a break, and I did. Dirtbag. Van-dweller. Mountain wanderer. We are continuing to be all of those things and so much more. We have embraced a simple life of no rent, few work demands, and nomadic freedom to roam. I’ve said this before, and I think I’m going to say it again (yep, here goes) – we are not trying to PROVE anything. 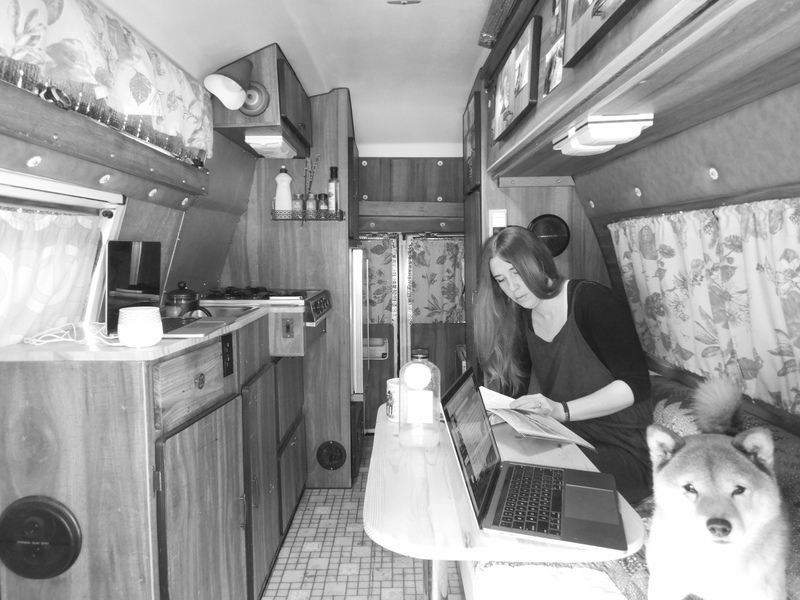 We’re not trying to convince the world that this is the life for everyone, or that our way is the best way, or that van-life and nomadism are the keys to happiness. We get stressed. We turn down expensive adventures. We budget (except for food…my goodness do I love expensive, healthy food). We splurge on rock-climbing memberships because dang-it we need to MOVE our bodies (and shower). So excuse our quirky ways, and excuse the difficulty of “keeping track” of what-the-heck we’re up to these days. We are continuing to live our lives focusing on experiences over stuff, and find the balance of “comfortable enough” – no excess. On and update note, we are hoping to sell Vinny-Van-Go, as we are moving into an apartment in April! We have decided to settle in Squamish, as Dan has full-time employment in Vancouver (with a high probability of moving into the Squamish office), and I’ll keep working in Whistler. No more van-life for us! Well…for now. Never say never.